Bad seasons, disappointing finishes or certain goals unmet, these 5 players have quite a burden and expectation load on their shoulders heading into the 2011-2012 season. It’s been three and a half years since Kaka won the Ballon d’Or after leading AC Milan to the Champions League final and a revenge win over Liverpool, 2-1. It’s been two since his mega move to Real Madrid. It’s been seven years since he’s won a league title, a drought AC Milan broke this year. Injuries derail you from your path, your destiny. Sometimes big cash and glory blinds you. Milan had no choice but to sell Kaka, no choice with the amount of money waved at them. In an uncertain economic future, a fragile one, 65 million Euros are too much to turn down. Kaka never knew he’ll be sidelined for nearly a year due to an injury, in the prime of his career. Kaka never knew, I think he didn’t, that sharing a team with Cristiano Ronaldo would be so hard. At 29, with Jose Mourinho reluctant to let the Brazilian genius leave to other pastures and produce and epic comeback over there, Kaka is in for the toughest year of his life. Re-claiming his place in the Real Madrid line up, and hoping Mourinho can find a place for him in the uber-talented squad. Finding a way to gel with Cristiano Ronaldo, a player who needs the team to play through him, rely on him, play for him. Kaka needs to be the number one man as well. He’s brilliant anyhow, but not being THE player to get the ball and share it among his teammates is difficult, makes him less involved, less dangerous, not as good. He needs to show he is still one of the best in the world. Funny how life is. End of 2009-2010, pre World Cup – Wayne Rooney was one of the top 5 players in the world. At certain moments during the season he looked like the best striker in the world. Carrying the post-Ronaldo Manchester United on his back, scoring 26 league goals, playing simply brilliant football. One injury ended the title dream, and prepared Rooney for a terrible World Cup, both for team and individual. 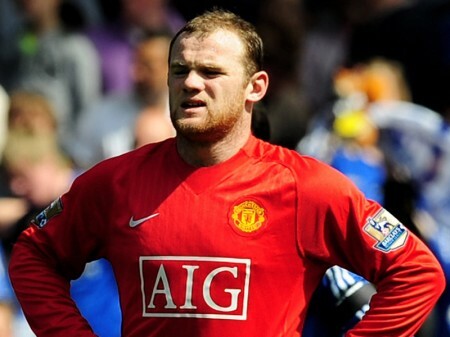 Early 2010-2011 – Wayne Rooney seems on his way out of United. It seemed that the relationship with Alex Ferguson is beyond repair. Chelsea, Manchester City, Real Madrid. Rooney had his foot out the door. He can’t find the net. Looking back at the season, Rooney had an incredible second half to it. He scored the best goal of the year, and finished with double digits on the score sheet, same as he has done since joining United in 2003. United won that unmatched 19th title. They made it to the Champions League final for the third time since 2008. Rooney’s next year will be telling us how he plans to be remembered. A talented wonderkid who grew up to be a very good player, versatile but not the stuff of legends? One who swears whenever he can, elbows player in the face only to get away with it but never be truly world class. In 2011-2012, with new hair and old-new aspirations, Rooney can go back to the course he was on in 2009-2010. It all depends on if he stays with Arsenal or not. Well actually, it doesn’t mind. Despite being a big part of Spain winning the 2008 Euro and the 2010 World Cup, setting up Andres Iniesta extra time goal against the Netherlands in the final, Fabregas took a step back last year. Arsenal folded again when the season was on the line. They did beat United at the Emirates, but the rest of it was rubbish. Draw after loss after draw after loss to inferior sides. On the pitch and off the pitch implosions of both manager and players. Fabregas was called out to lack the material a captain needs by Denilson, a crappy player but maybe a man who knows what he’s saying. Fabregas had his usual injury, limiting him to 25 league games. You can’t be an Arsenal star, like RVP, without missing at least 10 league games each season. Softness and fragility is contagious at the Emirates. The unclear future, either with the best team in the world or with the gunners, who have plenty of style but not a lot of anything else when it matters. 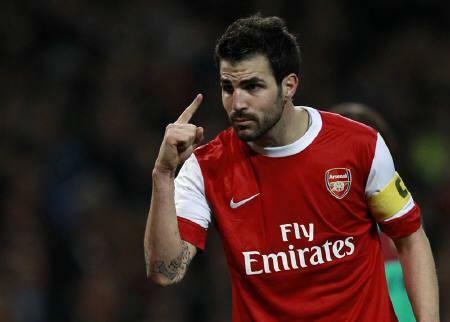 Fabregas needs to lead Arsenal to a title. To be great, to score, to be dominant. To look like a confident leader who does what it takes to bring the gunners glory for the first time since 2004. 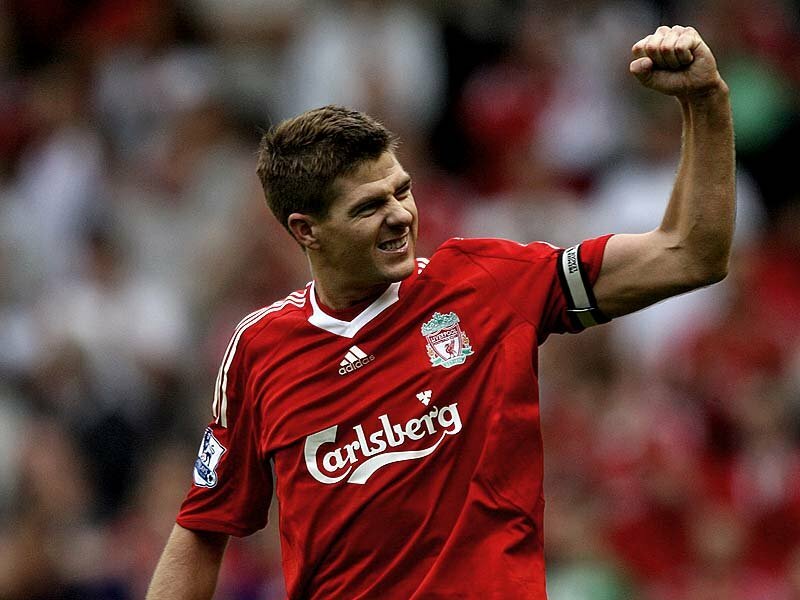 We’ve already discussed Steven Gerrard’s next year last week, but he fits the mold here perfectly. He’s been injured and playing badly for nearly two season now. Well, at least not as good as we’ve been used to from him, not what Liverpool needed him to be. Hopes and expectations are high for next year. Gerrard will need to find himself again with a squad that should be going more changes this summer, bringing in more talent. The wait for a title, for a title challenge, is too long. As brilliant as Stevie G has been over the years in the ‘Blood Red’ uniform, the Premier League title hasn’t arrived at Anfield. That’s one big minus or blank on his resume. He doesn’t even need to be the best next year. I’ve got a feeling that there’s going to be enough talent around him. He just needs to be good enough to contribute. Too look happier and motivated. To lead, push forward, and maybe soon enough, that elusive league title will return to the Anfield trophy room. It’s time for Zlatan to stop punching and kicking players. It’s time that all of that talent and genius soccer mind he possesses takes him to a truly elite level. I’ve written this so many times, but it’s still true – when he’s head is in the right place, this is the best striker in the world. A player at 6’5 that can do stuff no one else can. Milan do need a couple of good signings in the midfield and defense to make a true challenge for the Champions League trophy, but the bigger question is how good Zlatan will be in the knockout stages, a stage he’s failed to excel in since beginning his voyages among the continent’s elite clubs.